How do you market your Halal product? Who are your main target customers? There is a series of growing realisations going around within the Halal food sector, and other Muslim Lifestyle markets. The first is generally around the current size of the market and the potential for ongoing growth. From start-ups to major corporations, there is a new wave of business ideas based on marketing products and services to Muslim consumers in both domestic and export markets. There is also a growing number of government-led initiatives in both Muslim majority and minority countries based on the recognition that the preferences of 1.6 billion people constitute an important opportunity…if you can just figure out how to take advantage of it. Equally, there is a real understanding that Halal has very good potential to cross-over into the mainstream markets. This is usually dependent on the public perceptions around Halal and what it represents, and to what extent this is a positive or negative response. In Malaysia, for example, Australian Halal beef and lamb products are widely purchased regardless of race, colour or creed; it is simply a good product, and sells on that basis. While Halal may be important to Muslim customers, it is very much a ‘by the way’ issue for non-Muslim customers, but it does not raise any red flags. It is a somewhat different story in Western markets, where it requires a more nuanced approach. 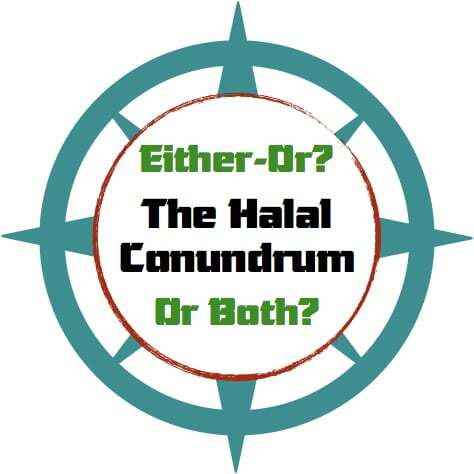 So for Halal producers and marketers in the West, some of the main questions centre around the issue of whether to make Halal compliance a major marketing issue, and to put it up-front-and-centre on the packaging and messaging, or whether to place it more discreetly in the background. Or do you create two separate brands for the same product? They are both Halal, but only one of them is directly marketed to Muslim customers; the other one flies somewhere under the Halal radar, aiming for the mainstream consumer. And will this create any backlash if the non-Muslim consumers realise that the product is also Halal, and then complain that they have bought and consumed a Halal product without their knowledge? Furthermore, does it make a difference if the product is a non-meat item? If it is entirely vegetarian/vegan and alcohol-free and therefore perfectly Halal for Muslims, should you get it Halal certified and market it as such? All of these questions and more can make the decision to enter the Halal market a complicated decision for many food manufacturers. Who are the main target customers? How do you position the product in a diverse multi-cultural marketplace, in which the perceptions of anything connected to Islam are complex and highly nuanced. For some, especially for MNCs and government agencies, this may represent a mine-field that is deemed too dangerous to venture into without some serious research. But then again, fortune favours the brave, and you only need to look at Australia and New Zealand to see the impact that Halal sector exports can have on a national economy. Often the most interesting destinations are accessed via somewhat bumpy roads. And as with any kind of venture, for best results, take a guide who understand the terrain and knows the road, and where the potholes are and how to avoid them.